We are competitive on prices and in general timber frame is 5% more affordable than traditional brick & block. We are a local company, based in Pembrokeshire, but covering Carmarthenshire, Ceredigion and South Wales. We can manufacture houses, bungalows. flats, extensions on a supply and fix or supply only packages. JSI can manufacture virtually any building your architect has designed for you. We can also recommend architects to suit your design brief and budget. Timber frame construction has a 30% shorter, more predictable construction time than conventional brick & block. 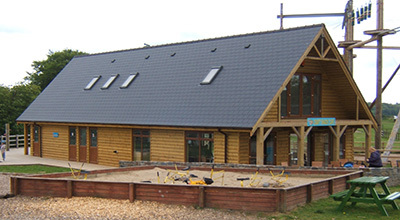 Timber frame has been meeting and exceeding thermal insulation standards for many years. A typical timber frame home can be up to 35% more efficient to run than a conventional build of brick & block. Timber frame construction has the lowest CO2 cost of any commercially available building product. Strength for Strength concrete uses 5 times more energy to produce than timber. 99% of wood in timber frames is sourced from sustainable European forests, where they plant more trees than they harvest.